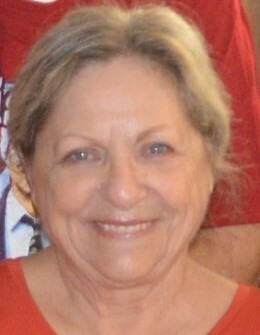 Leslie “Anne” Leffler, 73, of Summerville, SC, passed away on Sunday, January 20th at Roper Hospice Cottage in Mt. Pleasant, SC, after a courageous battle against brain cancer. Anne was born Monday, June 25, 1945, in Queens, NY, spending her early years in New York, and later years in Pennsylvania, Texas, Maryland, and South Carolina. Anne was passionate about local government. She served as President of the Board of Elections for the City of Frederick, MD and was an election judge for Frederick County and in Texas. She was a published author, designer of historic doll fashions, and has traveled to many parts of the world. She was a volunteer for the American Red Cross (Natural Disaster team), and for CASA (Court Appointed Special Advocate for abused and neglected children). Anne enjoyed painting, writing, English history (assisting with the archeology of ruins at Chepstow Castle in Wales) and genealogy. But her love for family always came first. She was a loving wife, mother and friend. Her kind heart, humor and sharp wit will be sorely missed by the many she has touched. She is survived by her devoted husband and best friend of 30 years, David Leffler, sons Robert Micheal of NYC, NY, and Matt Micheal (Kara) of Mt. Pleasant SC, sister Susan Coady (Bob) of Goodyear, AZ, and loving kitty, Mr. Digby. She was preceded in death by her parents Richard E. Vasko and Janet Sappo Beetle, adopted father Joseph Maul Beetle, and half brother Andrew Beetle. A Celebration of Life is being planned. In lieu of flowers memorial contributions may be made to the American Brain Tumor Association at https://www.abta.org/ . Arrangements by PARKS FUNERAL HOME, 130 West 1st North St., Summerville, SC 29483.